In this age of desperate self-promotion, of tweets and status updates and high-cost book trailers, of authors being told, over and over again, about the importance of having a web presence, and — God help me, I’ve heard this — “the value of leveraging the media for maximum impact” — I am comforted by this quote, from one of the masters. 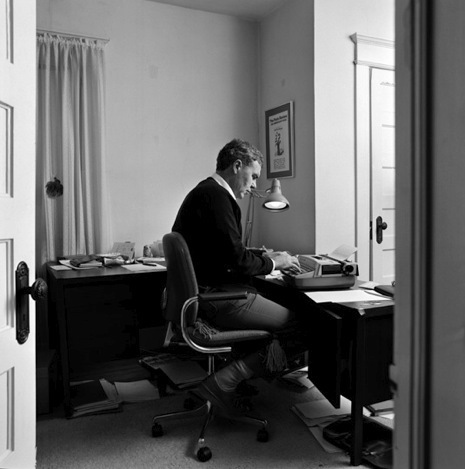 “Writers will be judged by what they write.” — Raymond Carver. Taken from a terrific interview from the Paris Review, conducted by my most respected pal, Lewis Buzbee, with Mona Simpson. So glad I’ve got you as a visitor, Juliana. Nice to get feedback, thanks. Hola, quizás os interese saber que tenemos una colección que incluye el relato ‘A Small, Good Thing’ de Raymond Carver en versión original conjuntamente con el relato ‘Oh, Joseph, I’m So Tired’ de Richard Yates.